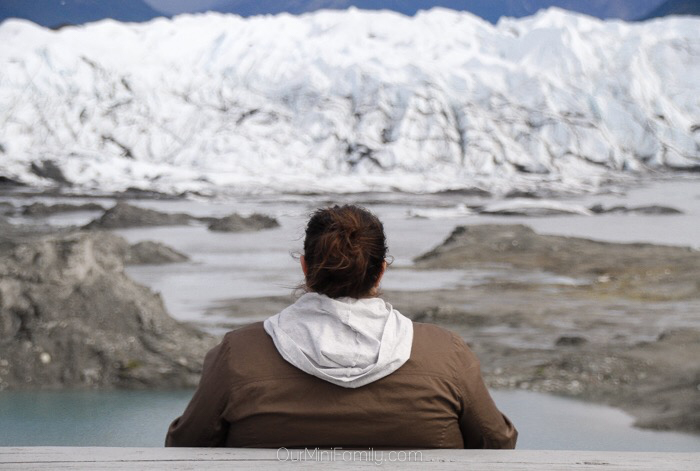 Matanuska Glacier is a remarkable day trip just a couple of hours from Anchorage! 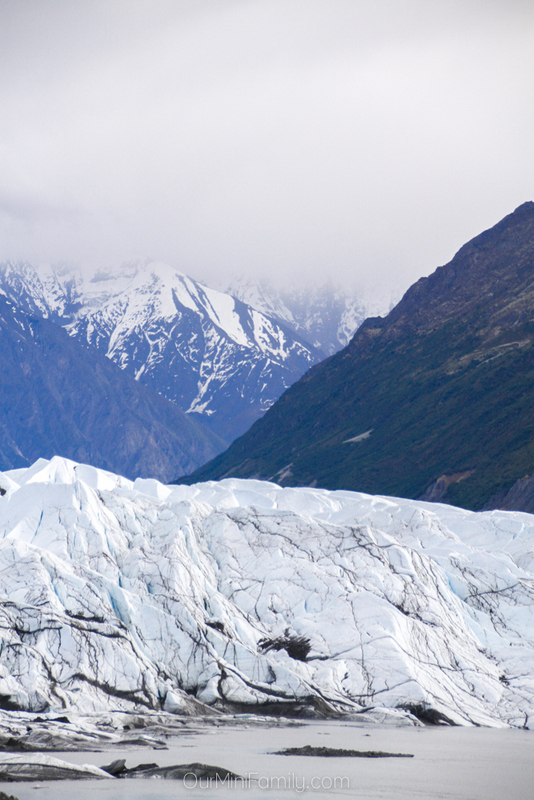 Contrary to popular belief, you do not need to take a cruise or boat to see a glacier in Alaska! In fact, if you are visiting Anchorage you only need to drive a couple of hours to see the remarkable Matanuska Glacier. 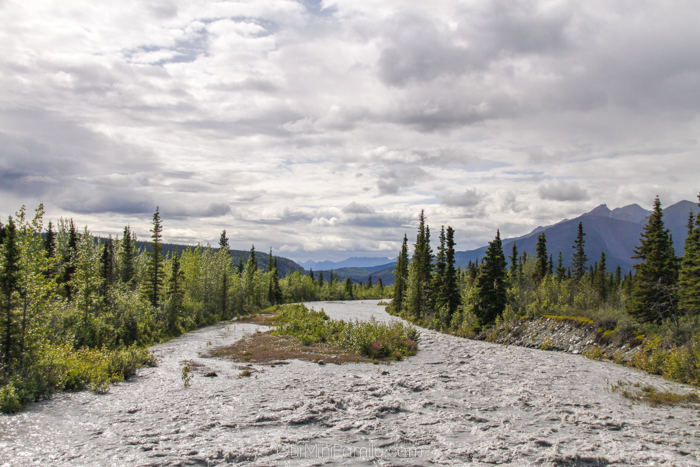 Matanuska Glacier can easily be seen from the Glenn Highway, so it makes for an easy road trip excursion! 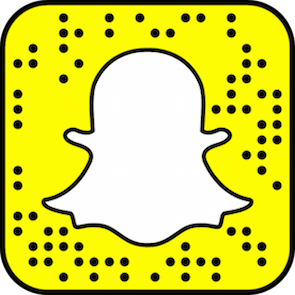 Be sure to take advantage of this close-by attraction if you are planning on staying in or around Anchorage, Alaska. 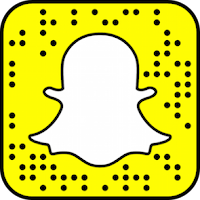 There are quite a few photo spots along the highway that are marked with a blue camera sign along the road to clearly give you a head’s up for any upcoming scenic pullovers along the freeway. 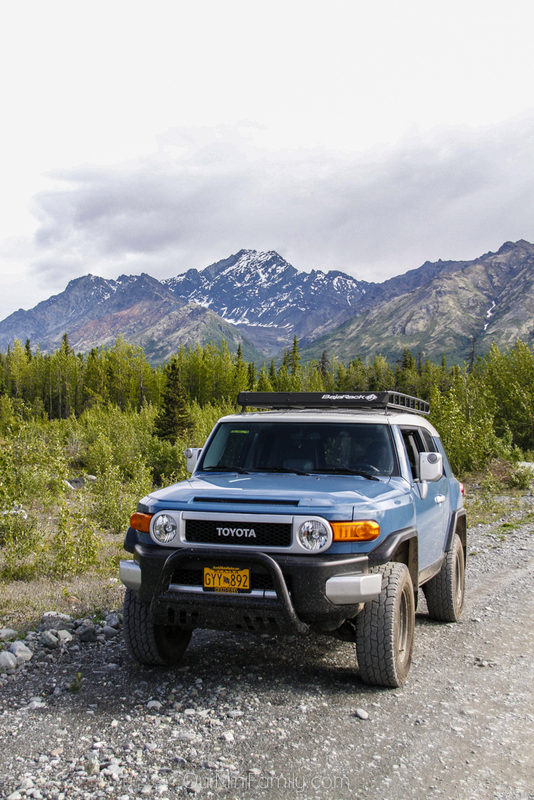 If you want to get even closer to the Matanuska Glacier or if you wish to hike it, you will find a Glacier Park entrance that is properly marked (mile 102) from the road that takes you down a hill where you pay about $25-30 per person to enter the park next to the glacier. 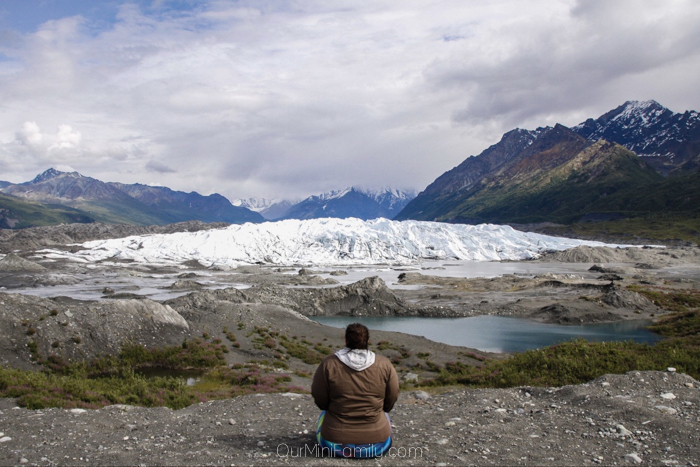 Plan on packing a picnic with you to take to the Matanuska Glacier, since there are multiple spots with picnic tables. On my recent visit, I had a nice snack while I watched some of the hikers making their way up to the face of the glacier. Nothing beats a snack with a view! 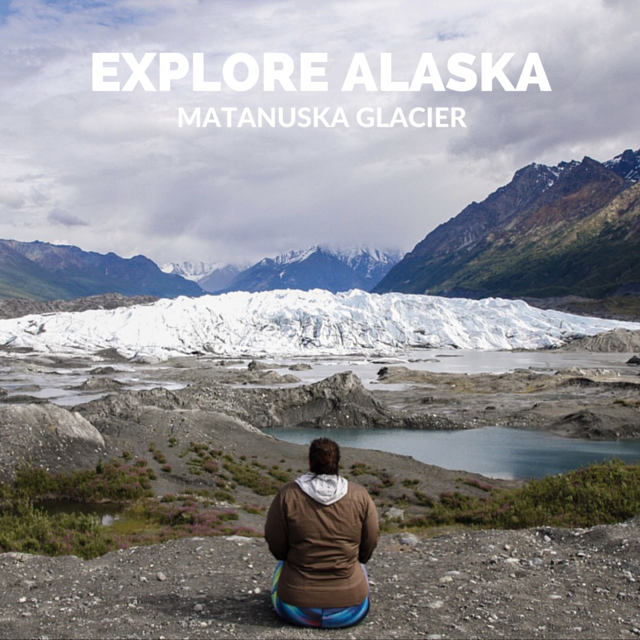 Camping at the Matanuska Glacier is also an option if you are looking for an extended stay during your visit. 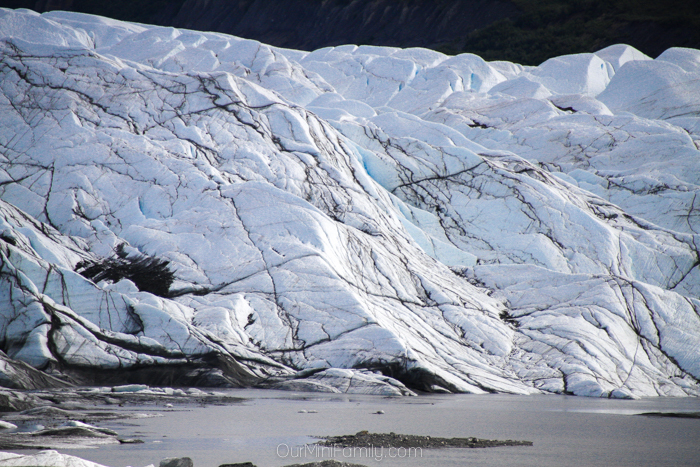 In addition to hiking and camping, you can also go ice climbing and ice trekking at the Matanuska Glacier. Wow, what fantastic views! I would love to go to Alaska some day. The landscape is so different from Southern California! The glaciers look so worn! I love all the cracks and grooves in them--so powerful. Great shots!